• Females and males look similar, with gray and brown colors and rusty, yellowish markings along their backs. • The squirrels are extremely territorial. MOUNT GRAHAM – Each fall, Anne Casey bundles up in a sweatshirt, hat and gloves, throws a backpack over her shoulder, tightens her hiking boots and heads out to survey this southeastern Arizona mountain from top to bottom. Fifteen others join her. Their goal: counting how many endangered Mount Graham red squirrels remain here based on piles of pine cone scales, known as middens, which the creatures leave to store green cones and other food for winter. Because the squirrels don’t hibernate, middens are essential. According to Casey, one midden represents one squirrel since the creatures are fiercely territorial. Casey and the rest of the group split into teams of two or three and hike to known middens using a database created by Tim Snow, a non-game specialist for the Arizona Game and Fish Department. The teams also search for new or previously undiscovered middens. The red squirrel census stems from controversy over the construction of a University of Arizona astrophysical observatory atop Mount Graham. An act of Congress that cleared the way for construction to begin in 1988 required UA to fund a monitoring program to determine whether the observatory harms the creatures’ population. While the university’s commitment applies within 300 meters of the observatory and the road leading to it, the Arizona Game and Fish Department, along with the UA, U.S. 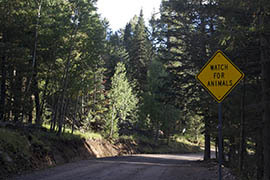 Fish and Wildlife Service and U.S. Forest Service, also conducts an annual survey of the entire area. 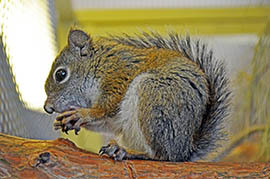 The Mount Graham red squirrel is indigenous to this mountain and is a subspecies of other red squirrels that live elsewhere in the Pinaleño Mountains, so-called sky islands of forest surrounded by desert. The last count, in fall 2013, found 272 Mount Graham red squirrels, an increase of 59 from the previous fall. 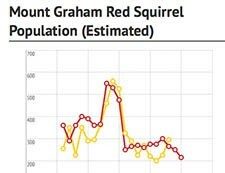 Snow, who created the Game and Fish Department’s red squirrel database, said the species has been isolated on Mount Graham for nearly 10,000 years and has grown genetically distinct. In the 1960s, so few remained that researchers thought they had gone extinct until a population was discovered in 1972. The most red squirrels ever counted on Mount Graham was 562 in 1999. The population has dwindled since due to habitat loss following two wildfires as well as insect outbreaks, among other factors. Snow and others said the Mount Graham red squirrel’s average life expectancy has fallen to about a year and a half, while the species breeds at two years. Those that live long enough to breed face another obstacle: the squirrels are normally territorial and aggressive toward one another, and their window for breeding is only eight hours. 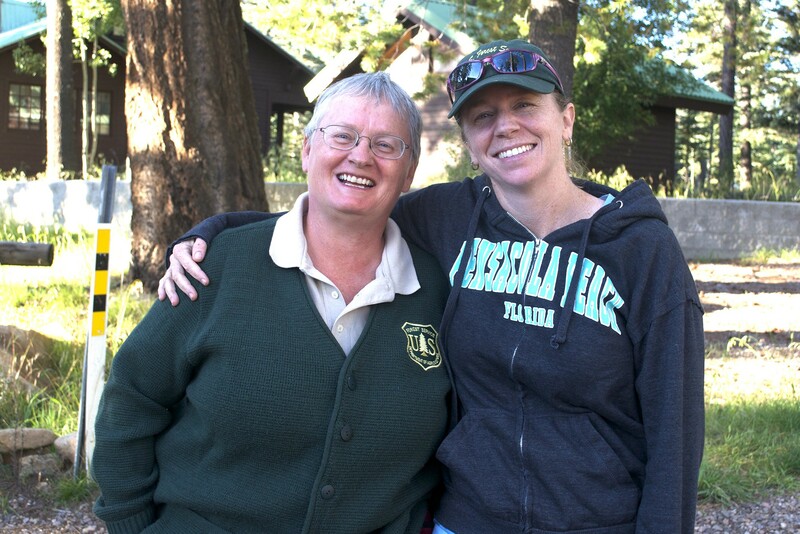 Ann Lynch, research entomologist with the Rocky Mountain Research Station, a U.S. Forest Service project with a presence on Mount Graham, said each challenge facing the Mount Graham red squirrel has a small impact but together they threaten the habitat and population. Lynch said one of the biggest challenges is insects such as the bark beetle, which weakens pine trees that the squirrels rely on. That is why groups partnering in the annual census worked with the Phoenix Zoo to create a 10-year pilot breeding program. 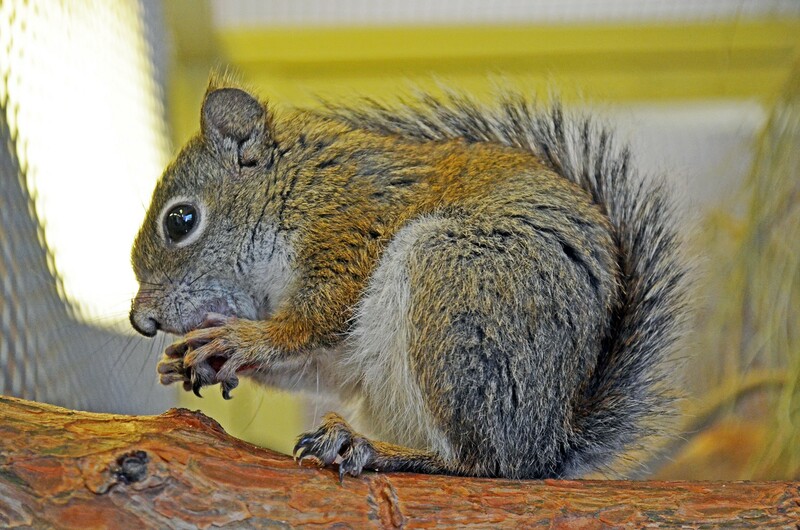 The zoo has six Mount Graham red squirrels that eventually will be returned to the wild, but it must surmount the same obstacles the species faces back home, starting with the fact that squirrels put in the same cage would likely fight to the death except at mating time. “What we’re challenged with in this breeding program is to figure out that day and what eight-hour window we have in that day to put them together safely so we don’t get that aggression,” said Stewart Wells, the zoo’s director of conservation. Meanwhile, a UA lab atop Mount Graham monitors the squirrels year-round. John Koprowski, director of the university’s Mount Graham biology program, said preserving the species is important for other animals that have evolved to rely on the middens the red squirrels create. The Graham Red Squirrel is hard to spot - not just because their red-brown fur blends in so well, but also because they are an endangered species. Cronkite News' Megan Thompson traveled to Graham County to find out what the state is doing to protect the squirrels and their habitat. Arizona has the eighth-most endangered species in the nation, a number that experts attribute to the state's varied habitats and wide diversity of animals. 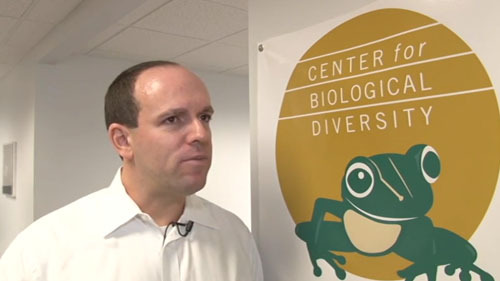 But getting species listed can be a years-long challenge, as Cronkite News' Brittany Bade reports. Ann Lynch (left) and Anne Casey were both part of the Mount Graham red squirrel census this year. Lynch did research on the squirrels' habitat while Casey led a group of people into the forest to count. 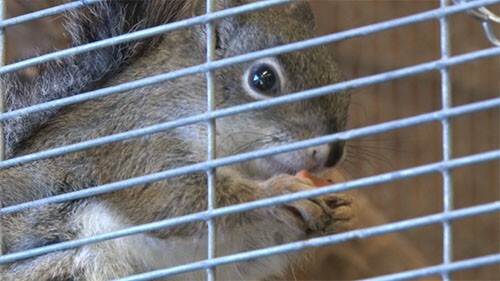 One of six red squirrels sits inside a cage at the Phoenix Zoo as part of a 10-year pilot breeding program launched in September. This road, half of it paved and the other dirt, leads to the top of Mount Graham.